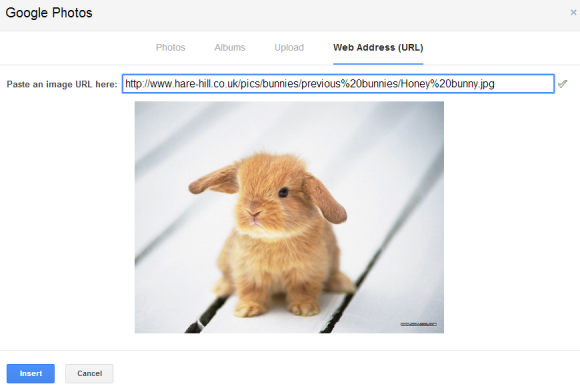 Gmail has a new interface for adding images to a message. 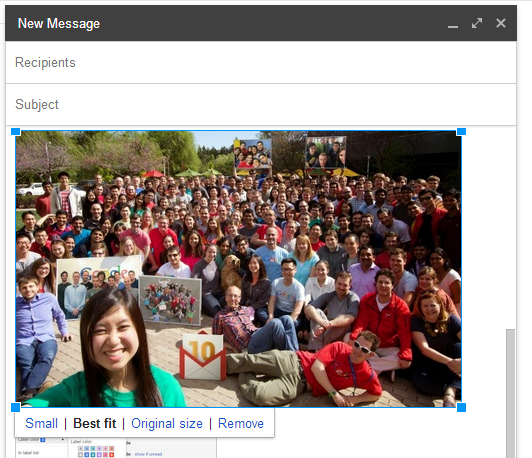 When you click the "insert images" icon, Gmail now shows all the photos highlighted by Google+ Photos. You'll see all the photos that are displayed here: https://plus.google.com/photos, including Auto Backup photos from your desktop and mobile devices. 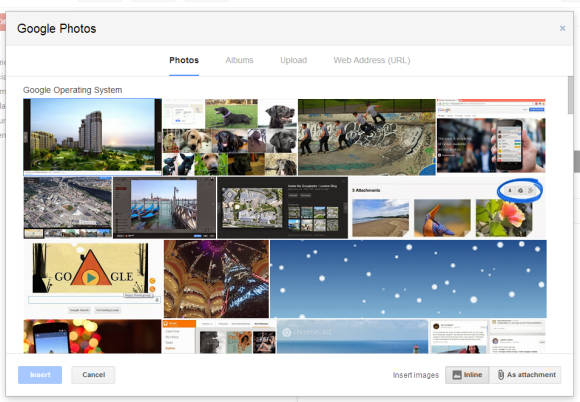 Google uses clever algorithms that find your best photos and place them in the "highlights" section, which is displayed by default when you visit Google+ Photos. Gmail only shows these photos, but you can click "X more" to show all the photos from an album (X is the number of photos). After adding a photo, you can now resize it by dragging on any corner. 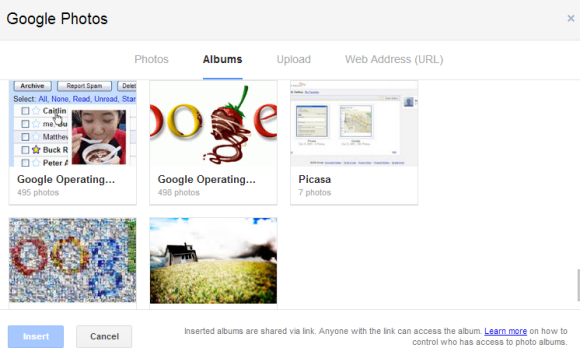 Gmail's dialog also includes a section for albums, so you can insert links to your Google+ Photos albums. "Inserted albums are shared via link. Anyone with the link can access the album," explains Google. 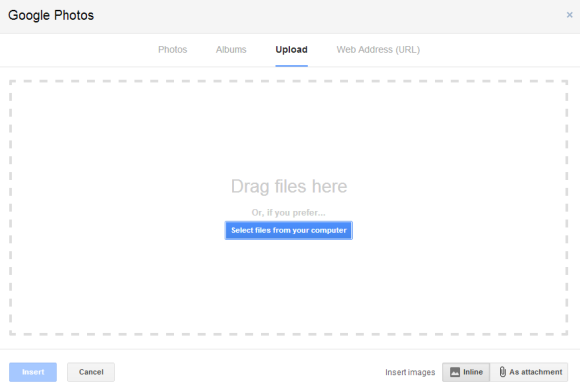 You can also upload photos or paste URLs. By default, images are inserted inline, but you can also add them as attachments if you click "as attachment" next to "insert images". "Whether it's photos of your hiking trip or a night out, sending photos to friends and family just got easier. Starting today, you can save time and insert your Auto Backup photos from your phone into Gmail messages on the web using the new Insert Photo button. When you click the button, you'll instantly access all the photos that are backed up from your mobile devices, starting with the most recent," informs Google. 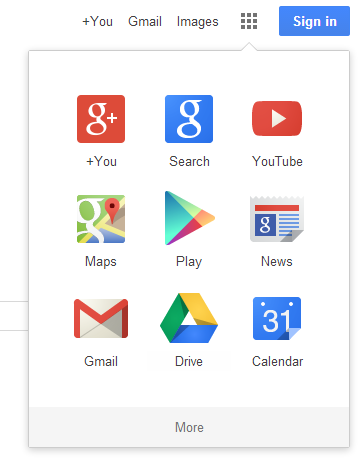 Chrome's app launcher has an interesting way to match results. Let's say you want to open Google Play Music. 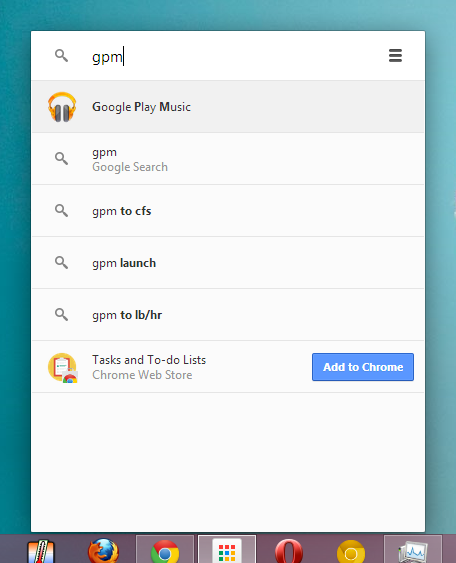 You can search for google play music, play music or you can just type the the first letter from each word and search for gpm. It also works if you type the first letters from the first word, followed by the first letters from the second word and so on. For example, you can also search for goplm, gplam, gmu. 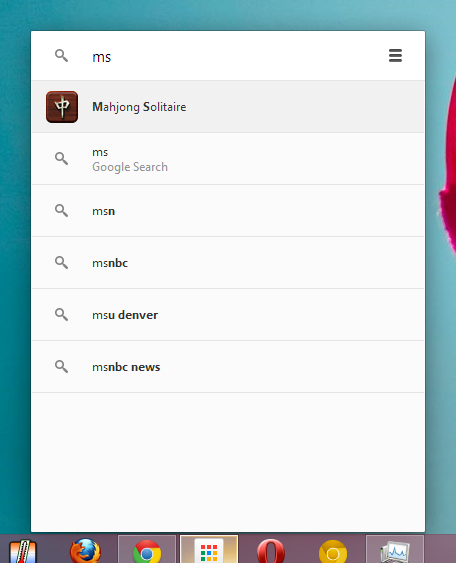 Another example: launch Mahjong Solitaire by searching for ms.
Google Search not only shows driving directions, it also shows a card for public transit directions. This feature seems to be limited to trains and buses. Another limitation is that this feature only works if you are in the US. 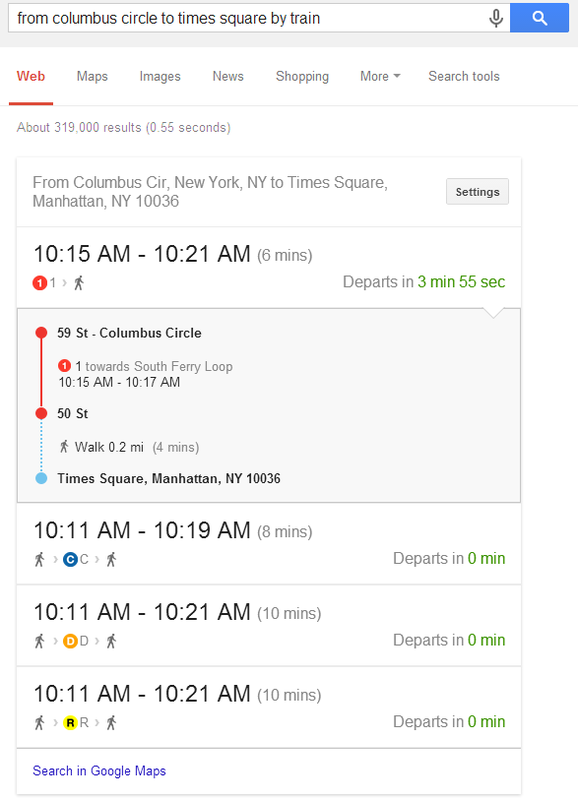 "Find the best route to travel using public transportation without ever leaving the Google Search page. 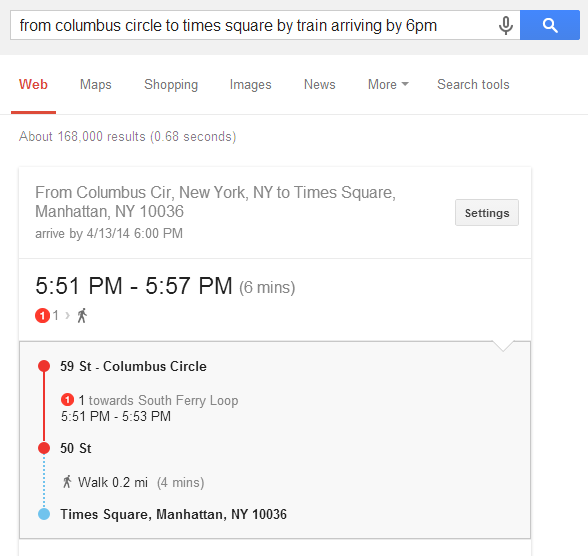 For example, if you're in New York and traveling from Fulton Street to Times Square, you can search [from columbus circle to times square by train] to find information about the next train that's leaving. You can also search for directions between cities, like [seattle to portland by train]," informs Google. 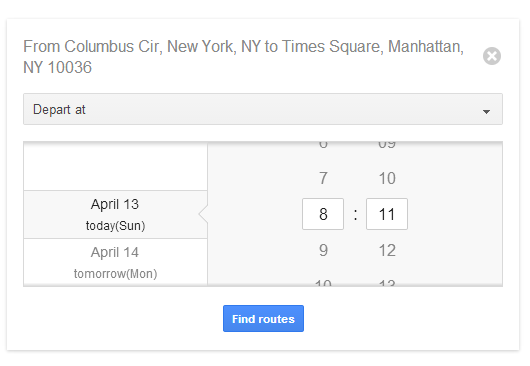 Click the Settings button to specify the date and time for your departure or arrival. You can also append to your query "arriving by 5 pm" or "departing at 6 pm". 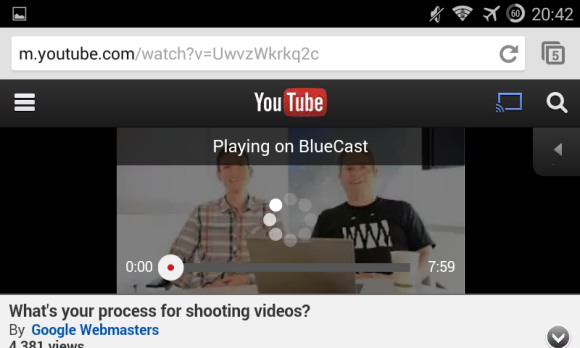 The latest beta release of Chrome 35 for Android added support for casting HTML5 videos. 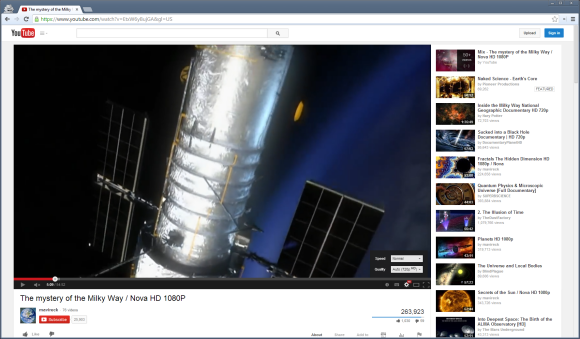 You can now send videos to the Chromecast from any site that uses HTML5 video players, including YouTube. 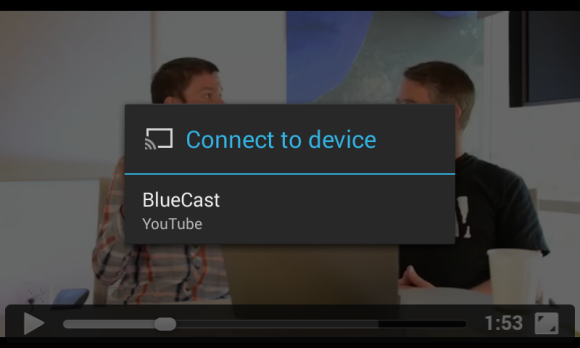 To connect to a Chromecast, you need to play a video in fullscreen, click the cast icon and select a Chromecast device. You can then change the volume, fast forward or switch to a different video. YouTube's mobile site has support for the TV queue, so you can add videos to the queue instead of playing them right away. The Chromecast integration is not perfect, there are some bugs that need to be fixed, but it's nice to see that you can cast almost any video right from the mobile browser, without having to install other apps and wait for the developers to integrate their apps with Chromecast. 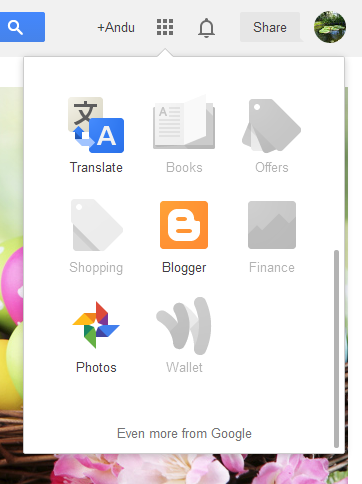 Google Translate now lets you edit translations. Click the "Improve" icon below the translation, edit the text and click "Contribute". Google shows this message: "Your contribution will be used to improve translation quality and may be shown to users anonymously". 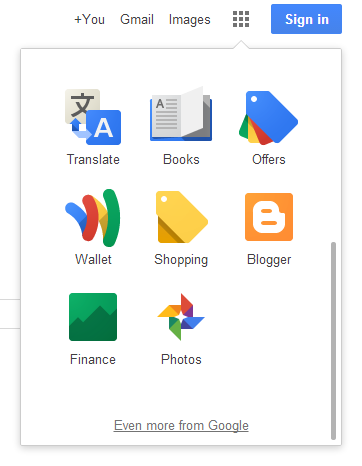 Until now, you could only click the words from the translations and pick one of the alternate translations offered by Google. By default, installing apps outside of the Google Play Store is disabled on most Android phones. If you try to install an APK file, you'll see a warning and you'll have to check an option in the Settings to enable app sideloading. Just in case you install APK files, Google Play Services includes a feature that verifies apps when you install them. 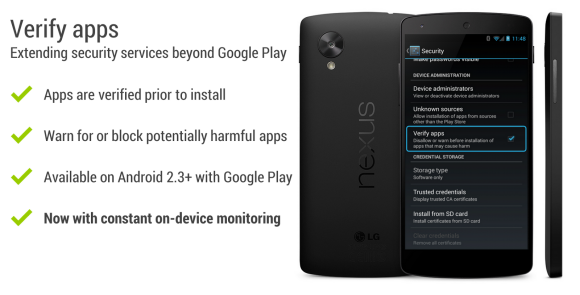 It blocks potentially harmful apps and it has been used more than 4 billion times. The anti-malware feature is now a lot more powerful: it now monitors apps even after installing them. "We're rolling out a new enhancement which will now continually check devices to make sure that all apps are behaving in a safe manner, even after installation. In the last year, the foundation of this service - Verify apps - has been used more than 4 billion times to check apps at the time of install. 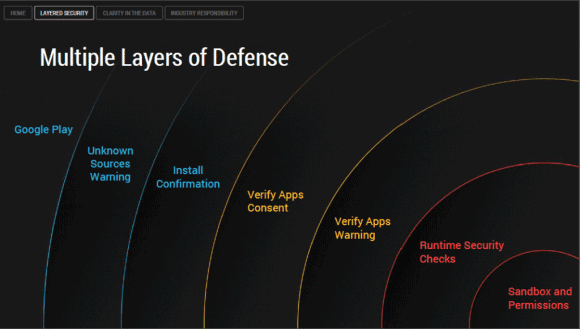 This enhancement will take that protection even further, using Android's powerful app scanning system developed by the Android security and Safe Browsing teams." Apparently, Android is more secure than you would think. "We've found that fewer than 0.18% of installs in the last year occurred after someone received a warning that the app was potentially harmful," mentions Android's blog. QZ.com reported last year that the percentage was 0.12% and that "0.001% of app installations on Android are able to evade the system's multi-layered defenses and cause harm to users". 95% of the phones have Verify Apps enabled by default and 0.5% of app installs from unknown sources receive a warning. Just because you receive a warning doesn't mean that the apps are actually dangerous: 40% of the warnings are for apps that root your device, another 40% are for fraudware apps that send premium SMS messages and another 15% of the warnings are for commercial spyware. A few months ago, I was about to buy 2 Sonos wireless speakers, but I realized that Sonos doesn't support Google Play Music. That was unfortunate, especially considering that Play Music doesn't even have a public API. 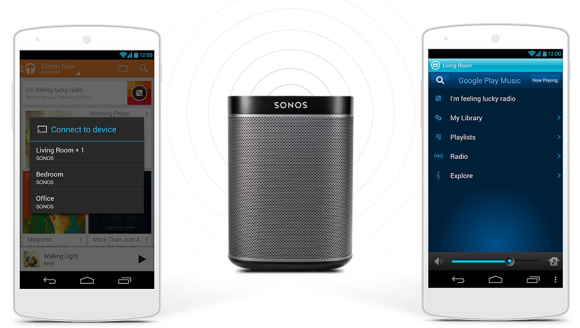 The good news is that Google Play Music now integrates with Sonos. "Now available around the world, you can stream directly to Sonos from within the Google Play Music app on your Android device, or simply stream Google Play Music from your Sonos app to any Sonos player throughout your home," mentions the Sonos blog. "Enjoy all the features of your Google Play Music app in Hi-Fi sound by playing directly to Sonos from Android devices. Use the Google Play Music app to start a song in any room and control the volume without ever leaving the app. For full access of all your music services and multi-room control, use the Sonos app to stream all the music you love to any room." Google Play Music uses the same "cast" icon that's also used for connecting to Chromecast. Apparently, Play Music's catalog now has 22 million songs, more than before, but still less than the 37 million songs from Apple's iTunes Store. Update (June 2014): It's now a regular feature and you can no longer disable it. 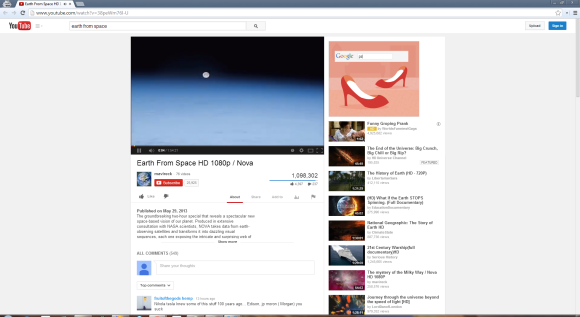 There's a new YouTube experiment that changes the video player's size, depending on the browser window's size. 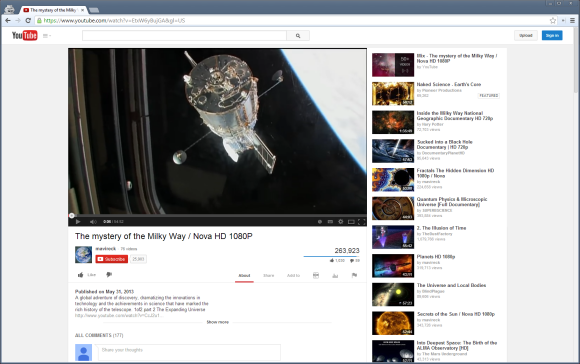 When resizing Chrome's window, YouTube switches from 360p to 480p and to 720p, while the player gets bigger. The nice thing is that the player resizes automatically and you don't have to click a button. It's the power of responsive design. 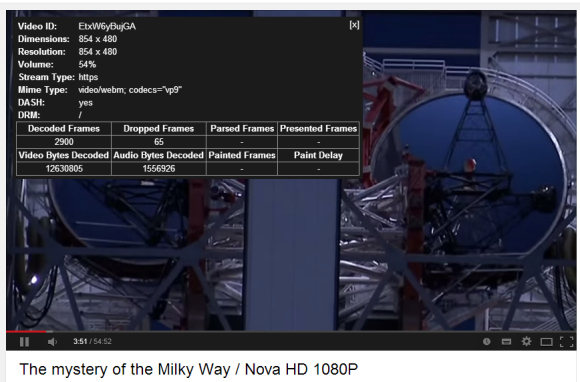 The YouTube player still has a "large player" button, but it only moves the right sidebar and centers the player. 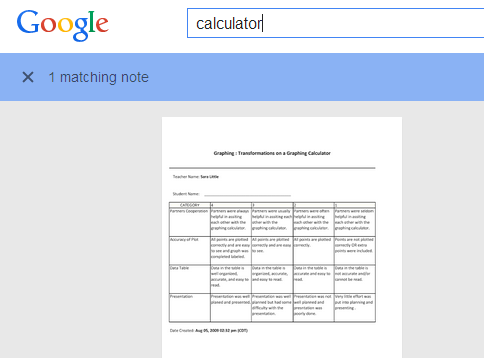 Google Keep has recently added a few new features. 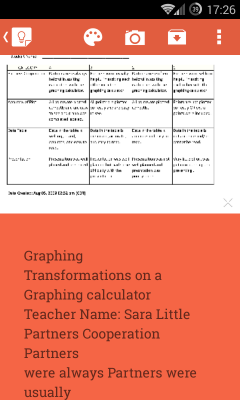 You can now upload images and Google automatically performs OCR and indexes the text, so you can quickly find images by searching for a few words from the images. This is not the smart visual search feature from Google Drive and Google+ Photos, but it's still useful. You can also transcribe the text, so that you can actually extract the text from the image. 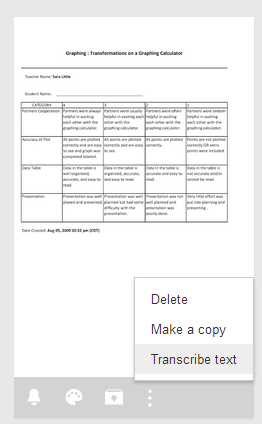 Another options lets you "make a copy" of a note. If you click the 3-dot menu icon from a note that includes a list, you can change list settings. 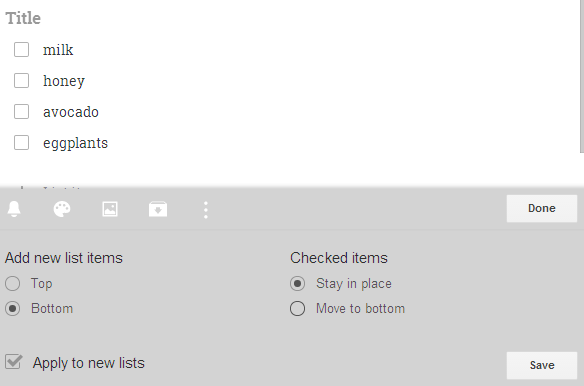 New list items can be added at the top or at the bottom and checked items can be moved to the bottom. By default, the changes also apply to new lists, but you can uncheck this setting. 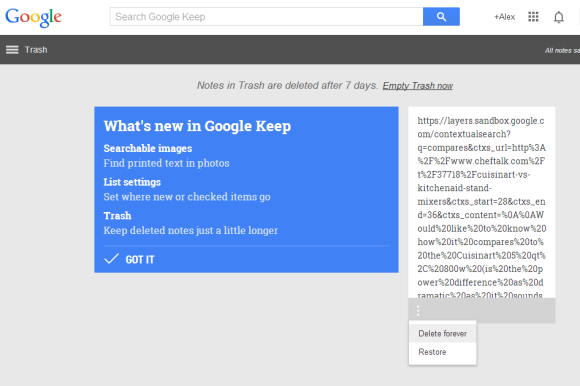 When you delete a note, it's now moved to the Trash and it will be permanently removed after 7 days. Go to the Trash to empty it or restore some of the notes you've accidentally deleted. The Android app was also updated with support for multiple accounts, a yellow action bar that changes color with notes and the same new features from the desktop interface. Last week, I mentioned that you can customize Google's app launcher, but the feature didn't work well: changes weren't saved. 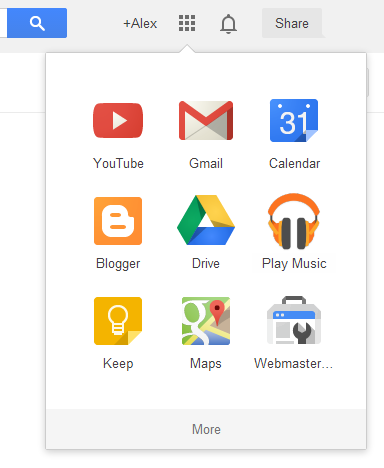 Now it works well and you can reorder the apps using drag and drop, but only if you're signed in to your Google Account. 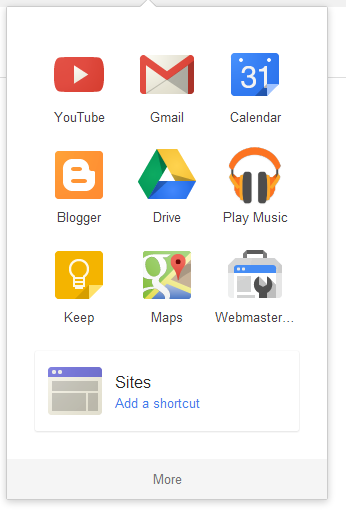 You can also add new shortcuts: go to Google Keep, Google Sites, Play Music, Webmaster Central, Google Voice, Google Patents, Google Groups, click the app launcher icon and then click "Add a shortcut". There's no way to remove shortcuts, but you can always drag them to the second page, so they're out of the way. I also found a strange issue: some of the shortcuts are greyed out and nothing happens when you click them. It may have something to do with using the US interface outside the US. A few days ago, Google removed the experimental SMS feature from Gmail Labs, which was launched back in 2008. "As of April 1, 2014, sending SMS messages to phone contacts through Chat in Gmail will be discontinued for all supported mobile operators. 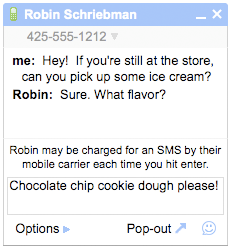 All existing users can opt in to Hangouts and select to receive messages in SMS settings," informs Google. If you're in the US or Canada, you can send SMS from Google Voice. You can also switch to Hangouts and "continue receiving SMS messages as follow-me (i.e. if you're offline and receive a Hangout message, you'll get an SMS message)." Google says that "by streamlining our services, we're able to focus on creating the best possible products for our users," but I suspect that Google wants to discontinue Gmail Chat and switch all the users to Hangouts. Unfortunately, the SMS feature from Hangouts is more limited and supports less countries. When clicking this link, I get this message: "We're sorry, the feature you are looking for is currently only available in a limited number of countries." There are plenty of other ways to send SMS online. You can use the SMS feature from Yahoo Mail or Yahoo Messsenger, use MightyText, which has a nice web app, browser extensions, an Android app and also integrates with Gmail. 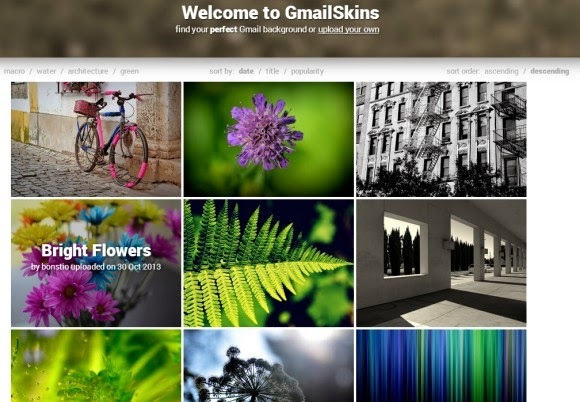 Gmail Skins is a site with nice pictures you can add to Gmail as custom themes. 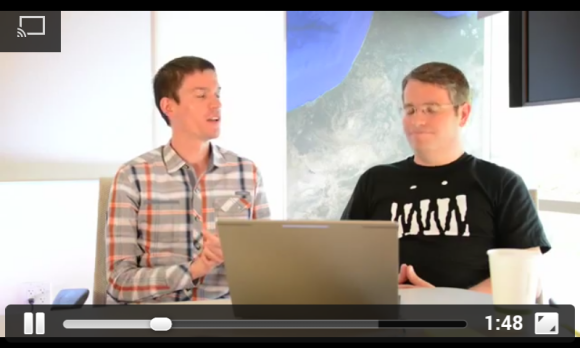 The site was built by Greg Bullock, from the Gmail team. You can sort photos by date, title or popularity, select a category like macro, water or nature, find your favorite image and set it as a Gmail background. There are two options: light themes and dark themes. The site also lets you upload your own photos to the gallery. "Only upload images which you own. Only images which are 1) mega-awesome and 2) sufficiently large will be published." 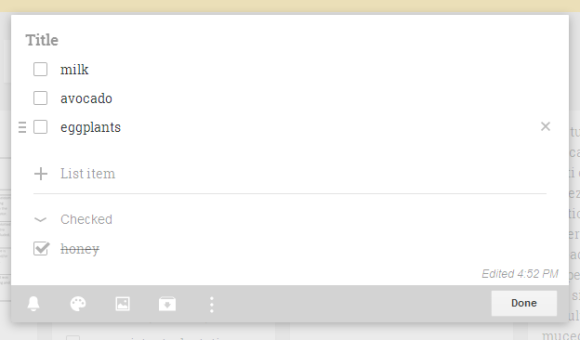 If you use a custom Gmail theme, you can share it with other people. 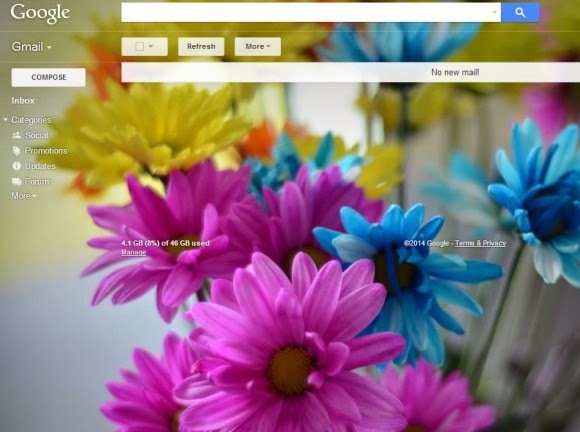 Unlike regular Gmail themes, custom themes use the picture you've selected, so you can generate a permalink that allows other Gmail users to quickly switch to your theme. 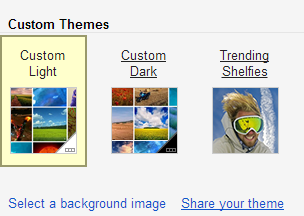 Just go to Gmail's Themes page, go to the "custom themes" section and pick "share your theme" if you already use "custom light" or "custom dark". If you don't use them, click "custom light"or "custom dark" and select a background image. 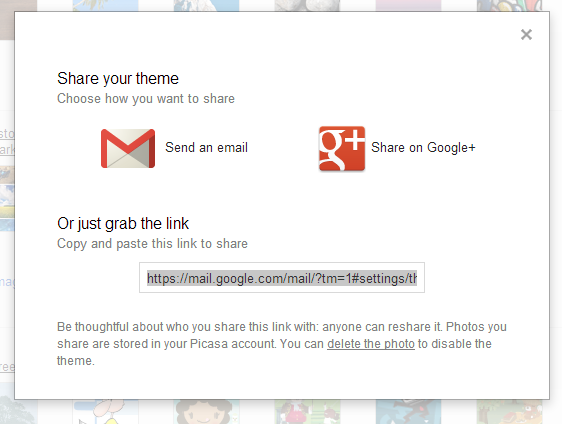 You can share your theme by email, using Google+ or you can simply copy the URL generated by Gmail. Here's an example. 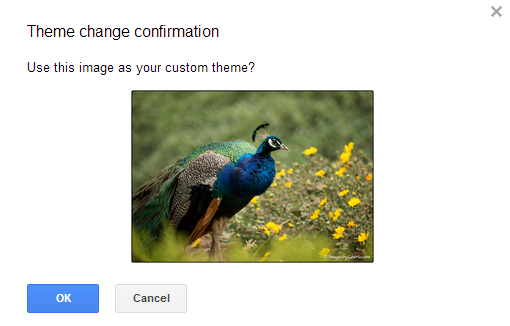 When someone clicks the URL, Gmail will show a "theme change confirmation" dialog. 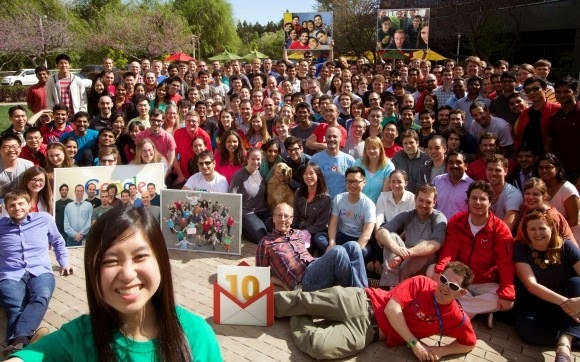 2 of the 36 Gmail Shelfies photos celebrate Gmail's 10th anniversary. 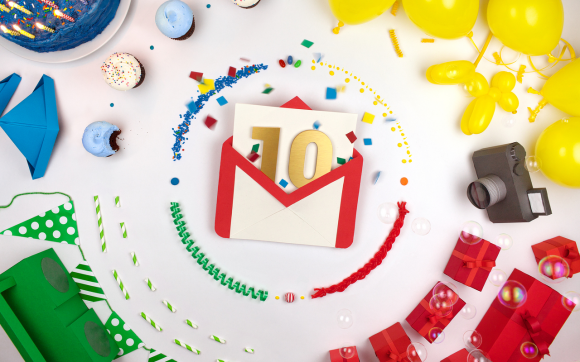 Happy birthday, Gmail! It's been an amazing journey so far.